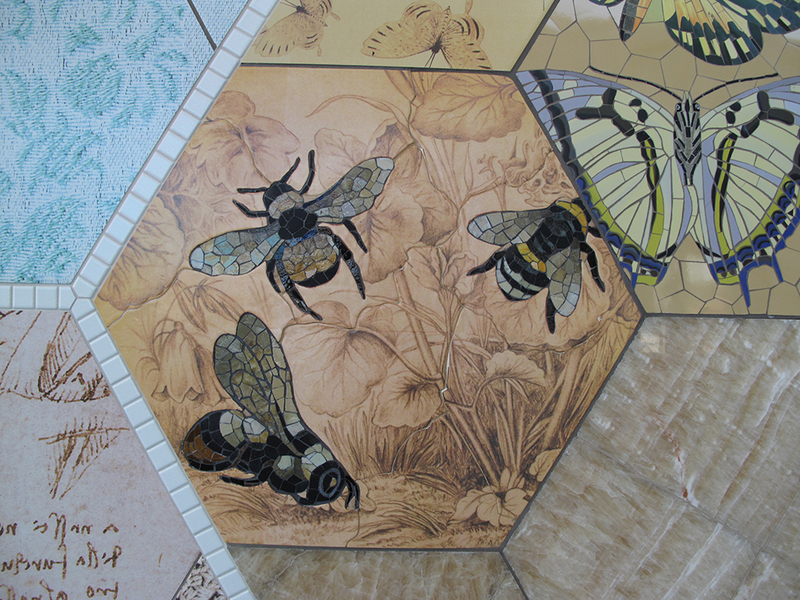 Commissioned for the new McGill University Health Centre (MUHC) Montreal, Quebec. 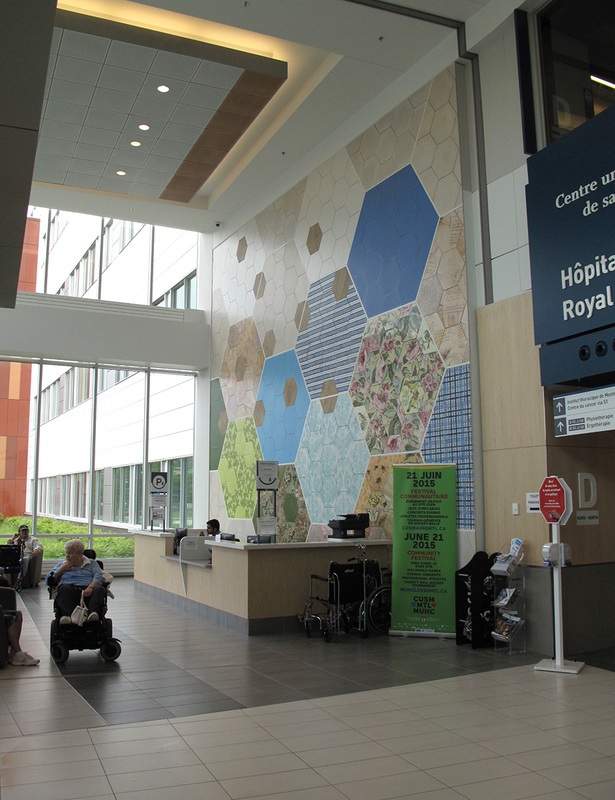 This permanent wall mural, at the main entrance to the Royal Victoria Wing, is one of 11 prominent public artworks selected for this new "Super hospital". 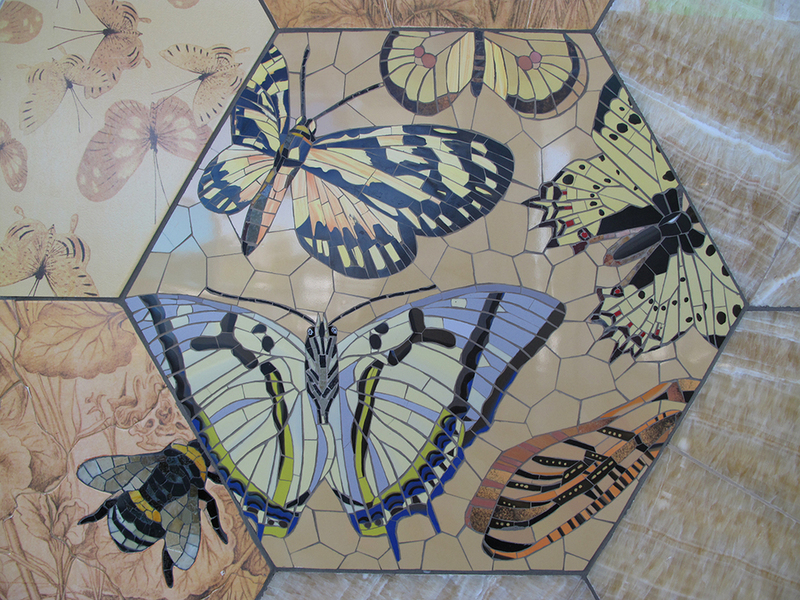 Materials: Made from a combination of hand-built clay, commercial ceramic tiles, image transfers on tile, natural onyx (green and yellow), as well as hand-made mosaic in byzantine glass smalti and ceramic. Fabricated by: Mosaika Art & Design, Montreal. The interconnectedness of all things; natural and man-made elements fusing together in harmony. My goal is to create an artwork that embraces and celebrates the beauty and curiosities of life. 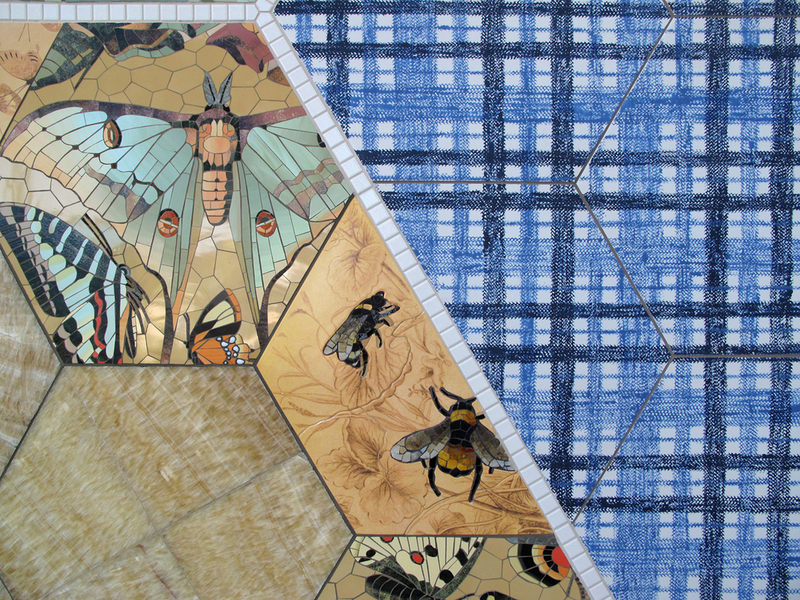 A structured grid of hexagons in the design references both the symmetry and order found in nature but also illustrates natures’ organic qualities.